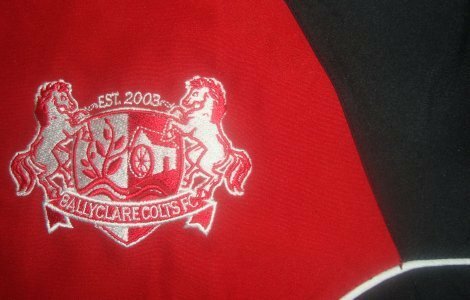 Ballyclare Colts Football Club was founded in 2003 by a group of local parents whose boys had been training at the Tommy Wright Soccer School and wanted to continue their development together at a competitive level. We are now in our 12th season, a great achievement for the Club. Since then, the Club has competed every year in the Belfast and East Entrim League and more recently in the South Belfast Youth League and Lisburn League, with teams from U12s up to U18s, as well as Ballyclare's only Football Development Program for boys and girls aged between 6 and 10. Almost 200 boys and girls from the Ballyclare area now train with the club throughout the week under one of the most professional and experienced coaching teams in the League. The philosophy of the Club has always been to provide our boys and girls with the best possible opportunities to help them develop as players. Competing and playing the game in the right spirit is what’s important for our club and that is demonstrated every time a Ballyclare Colts team steps on to the pitch. Ballyclare Colts Football Club is committed to providing a safe, healthy environment for children to learn the game of football and to encouraging growth and development and enjoyment of playing youth football as part of a community. We have built up a strong partnership between the Club and its parents and supporters and it is this partnership that has driven the Club forward over the last 13 years. Committee Members: Roger Peel, Aaron Flynn, Michael Ireland, Peter Ritchie, Andrew Robinson, Jeff McIlroy and Suzanne Robson.